so give us a try our prices are very competative. The worst of the weather is not yet with us and the nights are getting colder. Time to work on your Classic and Vintage Bikes, Cars and Trucks, with all the shows that will be coming up, come the spring. Keep us in mind if you need any help with machining work..
We look forward to discussing your requirements with you soon. We can also supply major engine components eg. Wm Anderson Engineering Ltd, has evolved from a very long established company (Wm Anderson & Co), starting in Dundee, Scotland. 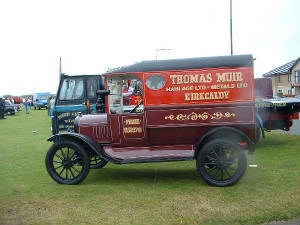 Wm Anderson has been offering an engineering solution to the Motor and Agricultural trades for over 70 years, and still pride ourselves on the fact that we offer a friendly and personal service to Garages, Individual Mechanics, Classic and Vintage Enthusiasts alike. 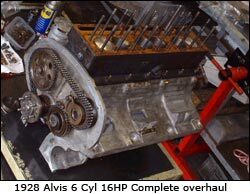 As well as supplying engine conponents and Gaskets etc, our services range fron Dismantling and Cleaning through to Refurbishment and final Assembly. Please read on to view a full list of the services we offer. We are always available to discuss your individual requirements, so please place an enquiry via e-mail or just give us a call. 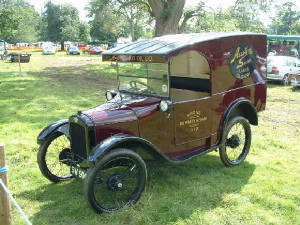 We would welcome pictures from our customers, of unusual, vintage or classic vehicles we have worked on. If you would like your vehicle to feature on our website, please contact us and send the pictures via our e-mail. Please get in touch to discuss your individual requirements and we will be more than happy to help!